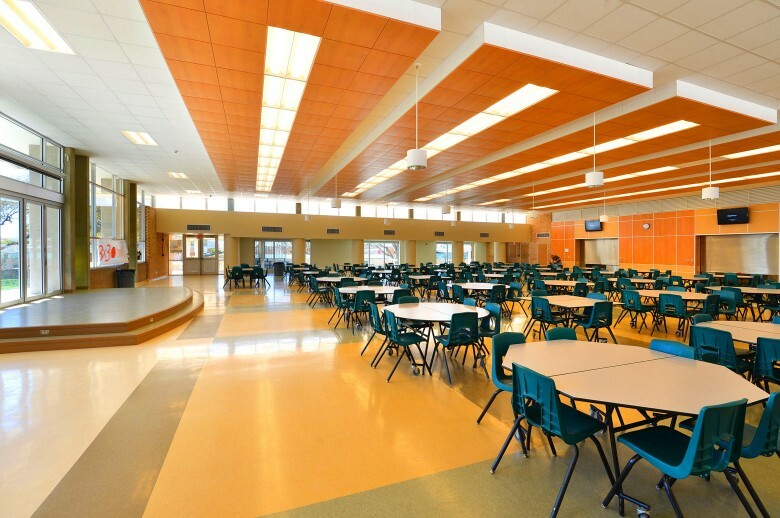 This complex project impacted the entire school and was phased to minimize the impact on a very active high school campus. Key projects included the complete reorganization and remodeling of the administration building, student dining, and the kitchen. A student-centered cyber café was also designed into the project. Portable classrooms were replaced with a new building and all student restrooms were improved, including a new student restroom building. The I.T. improvements project included new site and building infrastructure systems to support the new system. This entry was posted on June 18, 2013 by swaim_admin.